When I was a little girl, I loved leafing through catalogs at Christmas time. I’d study the pages intently and carefully record my choices on my list to Santa. Although Santa was very good to me, I’d never get everything on my list, but for a brief time all the possibilities were mine. 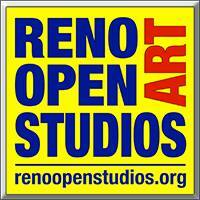 I feel the same way when I review the Reno Artown calendar in early July. 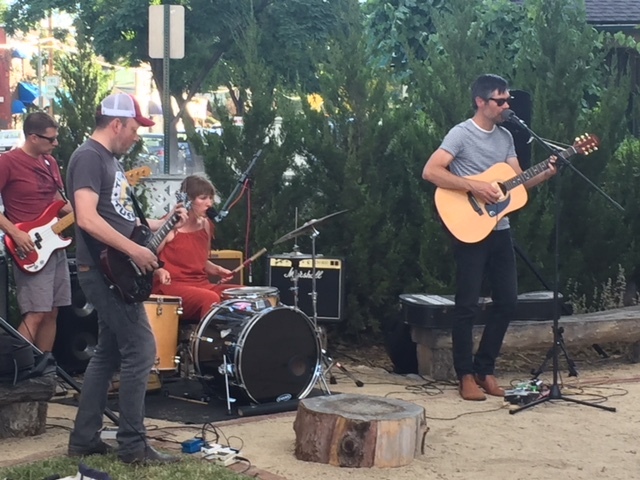 During Artown, the Biggest Little City hosts a month-long celebration of the arts. 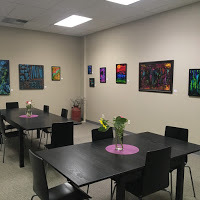 In July casinos and churches even hospitals suddenly become art galleries and music halls. And while I know I’ll never get around to all the events when I first receive the calendar, the possibilities are endless. 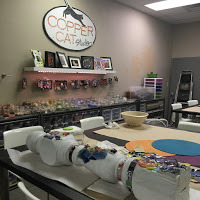 And while all of the events are carefully organized according to date, artist, genre and cost, there’s always an element of the unexpected to Artown events. 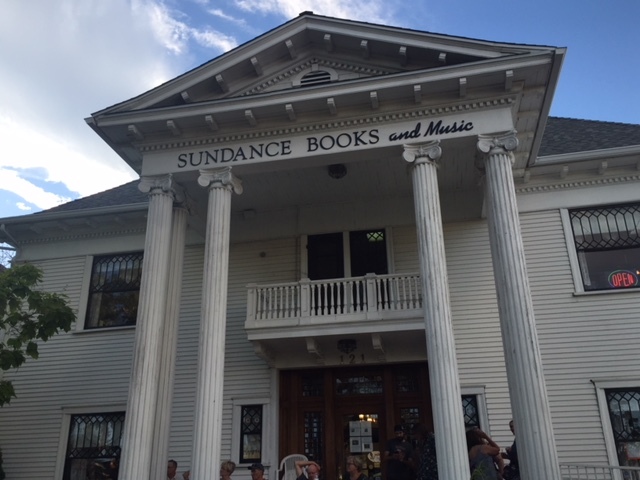 Last night at Sundance Books and Music while listening to the smooth rhythms of Fine Motor under the trees, I noticed an impromptu book signing in the audience. An older gentleman emerged from the bookstore and handed his recent purchase to another gentleman to sign. And while I’ll never know the author or the title of the book, I know the inscription was heartfelt from the way the author filled the entire page with his flowing script. Check out Artown and make your own discoveries. Bradbury’s essay “The Joy of Writing” is an exuberant call to arms. With a respected nod to iconic story tellers like Dickens and Shakespeare, Bradbury urges writers to be inspired by what they love or hate rather than the latest commercial trend. Though I’ve been among the storyteller ranks for most of my life, after reading this essay I snapped to attention like a new recruit, grabbed my notebook and pen eager to capture my latest inspiration before it slipped away in the daily grind. 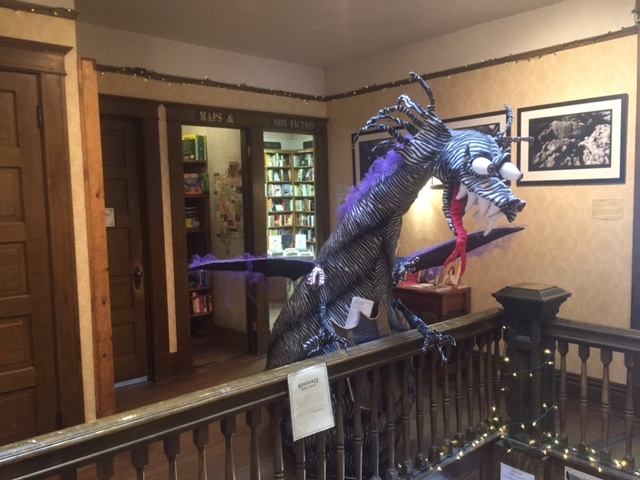 April 28th is the fourth annual Independent Bookstore Day and I can think of no better place to rub elbows with literary icons or discover new voices than Sundance Books. 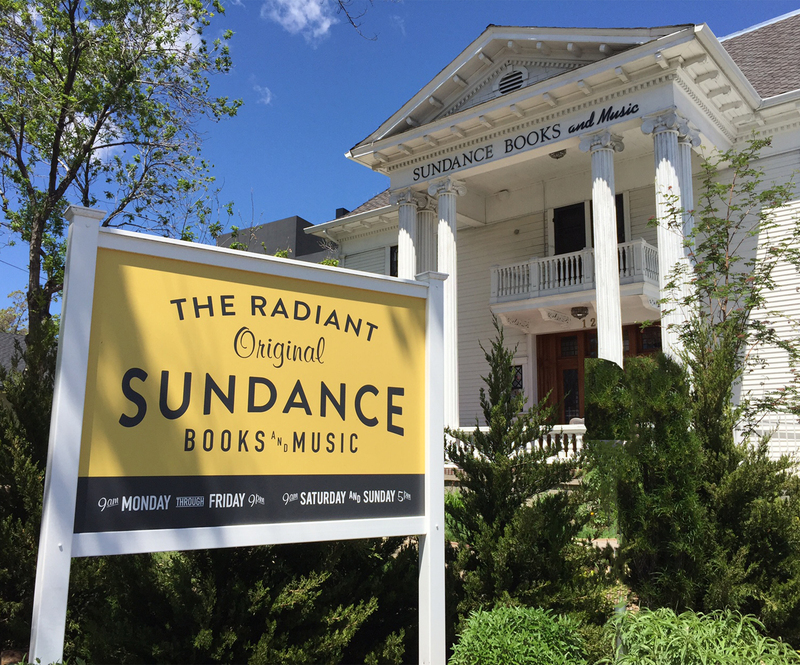 Like many indie bookstores throughout the country, Sundance will offer exclusive merchandise created especially for Independent Bookstore Day by authors and publishers.